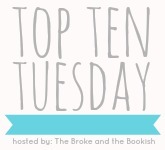 This week's Top Ten Tuesday prompt wants to know which books did you just HAVE to buy, but are still sitting on your shelf unread. Oops! I do this quite often. A friend will tell me about a book, or I'll read an insane review that leads to an impulse purchase. Once the book arrives, it somehow gets pushed aside.... and there it sits. I have even more on my nook (I am horrible about doing this with ebooks - especially when they're so cheap!). you have A LOT of good reads on here, gotta get to reading those soon! I know, I feel guilty about them still sitting there unread. I've heard great things about Throne of Glass! Graceling is a book I bought way before I started blogging & have yet to read! I honestly don't know why I haven't read Jellicoe Road yet. Melina is one of my favorite authors! Oh my gosh, get thee to Mostly Good Girls. 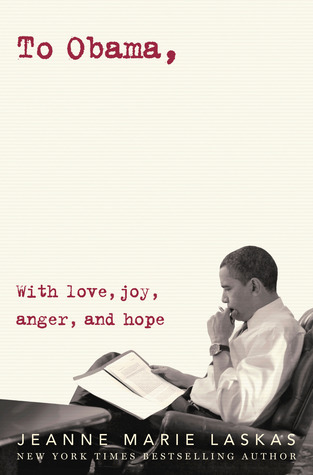 That book is AMAZING, one of my favourites ever. And Heist Society too! And freaking The Evolution of Mara Dyer - what a bind blowing series. I know.. and I love Leila, so why haven't I read it yet?! Great books you got there! I'm reading Anna Dressed in Blood, otherwise it would have made my list, too. I need to read a Dessen book. I keep saying I'll read Anna around Halloween.. and then it doesn't happen. Maybe this year, yes? Gracling and Throne of Glass where both awesome! I love them both so much. This is why I bought them! because I heard such great things! Yes - Mara Dyer! That one is on my shelf, too, unread. I must get to it soon! I've heard awesome things about Jellicoe Road ... and love Whatever Happened to Goodbye! You must read it! oh please read Jellicoe Road!! confusing at first but SO WORTH IT. 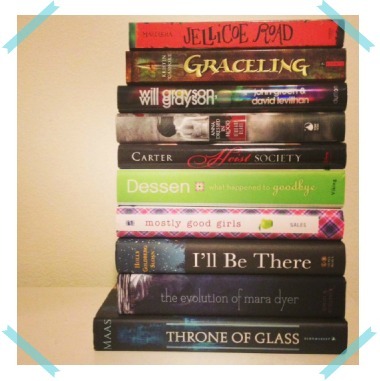 I also <3 Heist Society and Throne of Glass. By everyone's comments I am starting to think I have really put off one amazing book, haha. Oh, you have unread Sarah Dessen??? I've never managed to save any of her books. They get read the I start that I buy them :). I just picked up a copy of Graceling, based on Lisa's love of the series, even though I've missed the read along. Super excited for that one! And after Magan gushed about Throne of Glass, I still haven't picked it up, but it's high up on my TBR for sure! Will Grayson, Will Grayson is good, but Jellicoe Road is a MUST READ. Like, immediately. It starts out really confusing - you will wonder why anyone would ever read this or recommend it. But then! it all becomes totally worth it. Haven't read Graceling yet either. Jellicoe Road and Anna Dressed in Blood are both amazing reads. I definitely recommend them both! I still need to read Graceling too, and I haven't read Throne of Glass either, despite owning both those books. OMG, I have read every book on your list, and you need to read them all ASAP (except maybe WHATEVER HAPPENED TO GOODBYE b/c it was simply okay). Seriously, JELLICOE ROAD changed me. IT CHANGED ME!!! Jellicoe Road is really, really good. It takes a while to really get into it, but once you do - you love it. Melina's writing, as you know, is absolutely GORGEOUS. Also, Graceling and Throne of Glass are phenomenal fantasy series starters. You should definitely check them out soon! And and and we both have Will Grayson, Will Grayson on our list (as does Lena)! I'm thinking we need to read it. You need to read Jellicoe Road YESTERDAY. Trust me on this one--it's such a Ginger book, now that I think of it. Heist Society is perfect for when you want a lighter, fluffier read. GRACELING! I know you don't always love Fantasy but I really think you'll fall in love with Katsa being badass. Also, Throne of Glass has some badassery in it with lots of mystery and other goodness. I just can't handle this. There are too many good books in that pile to even decide which to comment on. But, basically, LOOK AT ALL THE FANTASY! I AM SO HAPPY!